This summer was different – different from the other lazy lousy summers where I would just sit back and relax. Being a first-year student, I wanted to experience what is like to live a “corporate life”. I was sure I would try to intern somewhere this summer. I spoke to my parents, and they were ready for it. Not as easy as it seemed! I was also told that the working hours would be 10:00 to 19:00. This part scared me, even if I wanted the other two. I called up my mother to discuss this, and she said “Nice! At least you will wake up early and do something nice”. Easier said than done. I was supposed to be the one who would have to wake up at 8 am. Given the traffic I would not make it back home before 20:30-21:00. I felt my social life was going to take a major hit for next two months. I was so concerned about the working hours that I tried convincing Varun and Prukalpa that I am just 18 years old, I have never worked so much, can I work from home, or can I come late and leave early, etc. I probably gave them every possible excuse but not one worked. Mentally I was prepared for a tough summer. Here’s what my internship experience was like. 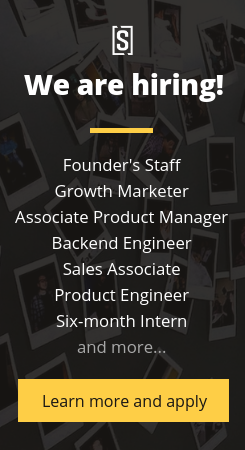 You will be joining a small, diverse team (e.g. the Data Scientist from Tamil Nadu lived in Mumbai, studied in Singapore, is working at SocialCops in New Delhi, then will go to LSE) of unique yet multi-talented engineers, managers, and designers at one of the most crazy startups in India on a mission to change the world. Oh yes. On the first day of my internship, I remember I was there wearing business casuals. A pant with a belt, tucked-in neatly ironed-shirt, formal polished shoes, with a decent haircut (which I got few days before joining the internship). Second day, I was in my jeans and a tee shirt with casual shoes. Starting my third day, every day I went in my shorts and my slippers. Dress as you like. In one sentence, “Your role at the internship would be to build SocialCops.” Your work won’t be lying in some store room, in some file waiting to be touched, or some Excel file waiting to be opened. No matter what you do, you will be directly responsible for the growth of the company. There is a lot to do and it is all important. There is nothing which can be avoided. Before you say “I couldn’t resolve the error”, make sure you’ve read the documentation of the library properly, make sure you have checked the console for any other error, and make sure you’ve searched properly enough on StackOverflow. There is nothing like “Not happening”. It is your job to make it happen. You will be a part of all the important decisions the company will make. You will see yourself quite often in the “Brainstorming room” with your co-workers. You will be looked upon like a regular employee of the team, no special treatment or spoon-feeding. Fame? Power? Exorbitant wealth? None of it. Instead, you’ll get a huge supply of Coca Cola to kill your bones, but a fridge juiced up to cover up for the bones you lost. The evening mango shakes, sugarcane juice, chili potatoes, spring rolls, or burgers. FIFA with coworkers for the quite-often “recreational break” or “the wifi isn’t working break” or “I am not able to find the bug break” or “I just completed an AWESOME feature break”. Lunch out, dinner out (drinks out as well). House party. Bowling with the team. House party at someone’s place (everyone lives close by, once in 2 weeks there is going be one hotshot party). You could even play darts to kill your frustration. Google glass. Super-high-speed unlimited wifi. Raspberry Pi. The list will never end. Where do you see yourself towards the end of the internship? At the end of the internship, you will be all sad. You will suddenly start disliking college, thinking how it doesn’t teach you anything. You will think where the two months went. You wouldn’t be the same person you were two months back. You would have a lot of things to brag about. You’d be much better versed with what is happening in the real world. You will be able to point out something on SocialCops and proudly say “I made that”. Most importantly, whenever your friends talk about some fancy café, restaurant, bar, you’d be able to say “Been there done that”. I won’t ever be able to tell you everything about SocialCops, but here are some important things that you MUST know about the amazing office. Fail Board: This is something you should be scared about. If you crack a lame joke or even make a dumb move, don’t worry, everyone will just laugh at you, and that thing will be there on the fail board forever. Hackathons: The tech team had an all nighter for a hackathon, described here. If you want something, simply ask for it. As I said, you would be responsible for making things happen. P.S. I am not a big fan of drones, but even stuff like that is there. At the start of this article, I mentioned “corporate exposure” quite a lot. I didn’t get what I was looking for. It wasn’t an ordinary 10-7 job. It was much more than that, something that couldn’t be described in 1,000 words. I never made it to office on time. Never. Once I entered at 8PM, and worked an all nighter till 7AM. Reaching on time wasn’t the first priority, but being able to ship the product was. Nobody cared much about what you wore or how well you were groomed (unless you wanted your leg to be pulled for the rest of the day). It was just necessary to define your own task and complete it. Like I said earlier, you would be wondering if your social life will end. Trust me, it won’t. It has never been better. And you could definitely take a day off, but you wouldn’t want to. Nobody told me I had to do an all-nighter. I was the one who wanted to stay up those nights. And I sound like a workaholic right now but, until and unless you’ve ever felt that you love your work and the environment where you are working, you wouldn’t understand. It’s going to be bad when it’s over.